Sparkling Logic, a leading enterprise cloud/SaaS Prescriptive Analytics and Decision Management software provider has been selected among 850 start-up applicants to participate in the Plug And Play’s three month FinTech Accelerator. The inaugural program will enable high-tech startups to explore business development, fund-raising and other strategic partnership opportunities. 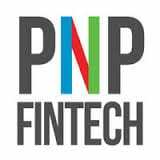 Plug And Play’s Fintech Accelerator partners include Citi Ventures, USAA, Capital One, Intuit, JCB and others. Sparkling Logic’s prescriptive analytics and decision management platform is used by financial institutions to rapidly detect and manage risks and fraud, custom tailor product and service offerings, and optimize complex decision models in critical processes such as loan origination and claims adjudication. Sparkling Logic Inc., a California-based company, is the leading prescriptive analytics and decision management software provider. Sparkling Logic Cloud/SaaS analytics platform helps organizations catch fast-changing fraud and risk and personalize their offerings down to individual customers. Using Sparkling Logic, companies can extract business logic from their data and expertise, import, test and optimize analytics models and rapidly deploy the solutions using the industry’s most scalable platform. Learn more at https://www.sparklinglogic.com.